The lunch meeting held on 16 April 2012 was a great success. 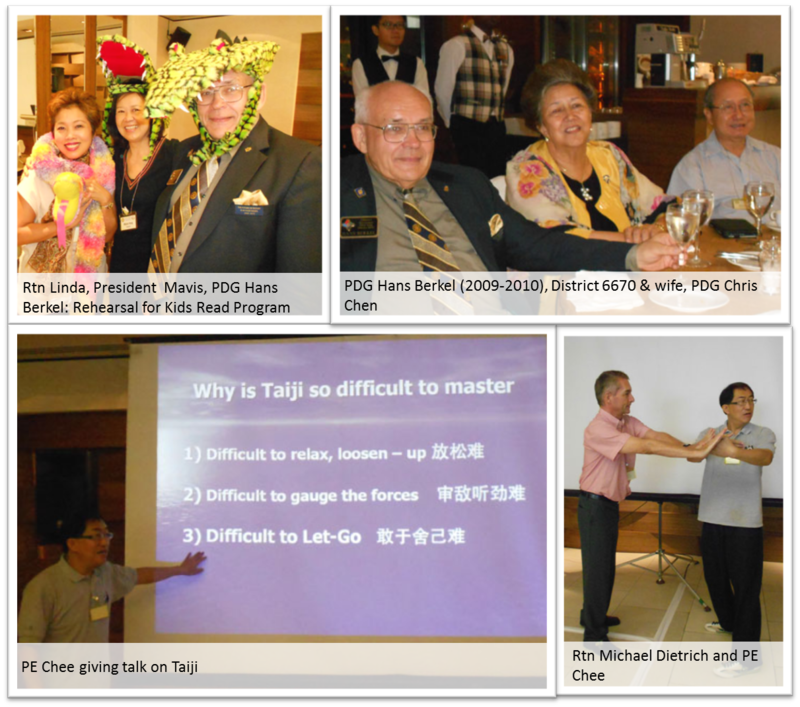 PE Chee continued his highly interesting talk on Taiji. Furthermore, RCQ members were pleased to welcome again PDG Hans Bertel from District 6670 & his wife. The Kids Read Program at Rotary Family Service Centre was scheduled for the following day. Hence, PN Hans briefed members and had arranged a rehearsal.